WATCH THE TOP 100 LIBERIAN MUSIC VIDEOS HERE PLEASE DONATE TO OUR MUSIC PROJECT EFFORTS. A PART OF THE PROCEEDS WILL GO TOWARDS IMPROVING THE EDUCATIONAL SYSTEM IN LIBERIA, WEST AFRICA. THANKS. Exciting Afro-Beat Music Video is Released By International Artist, Mezonic! Charlotte, NC — The music video for the hit song “Dah LehVo” by Mezonic is a great addition to the emerging Afro-beat music genre and industry! Being a US-based international artist has its own challenges, but also has great advantages. Living in the US helps independent artists because they have access to the best recording studios and the best locations for music videos as well as movie shoots. For those of you who are not familiar with Mezonic, he is a Liberian-American citizen who resides in Charlotte, NC, U.S.A. He is a multi-genre international artist/song-writer/producer, however, his primary form of music over the years has been conscious hip-hop. His future focus for music is to be able to freely create any genre that touches his heart. The video for “Dah LehVo” was shot in Las Vegas, NV on March 24, 2017 by T. Cole Productions. The video was also edited by T. Cole Productions. Thanks to the models/dancers, Rasmiyyah, Nicolette, & Kaydia. This music video has a tropical vibe to it and the tempo is very upbeat, thus putting the viewer in a dance mood. Watching this video will entice the viewer to travel to a tropical or beach vacation spot. Everything about this video showcases vacation, Africa, Caribbean, Vegas, and last but not least, an exotic lifestyle or enjoying life. The world is finally paying attention to Liberian music. CHARLOTTE, NC – 9 Dec, 2017 – Both 2016 & 2017 were good years for Liberian music history. Many websites, blogs, and talk shows were created to push Liberian music & culture forward. The Liberian music industry also experienced a few set-backs; the loss of Quincy B and the charges against Bucky Raw being the most unfortunate ones. However, the world began to experience Liberia in a different way with the launching of the Top 100 Liberian Music Videoplaylist. Artists like MEZONIC, Tamba Hali, Flex, G-RIZE, Bucky Raw, Kizzy W, Christophe, Z.WE etc… had huge impacts in the Liberian music industry. MEZONIC, who is also a record label owner and an artist manager, released 3 major music video projects in the span of 8 months. His video for his song, Dah LehVo is still one of the most talked about videos. He launched the Top 100 Liberian Music Video playlist to showcase a compilation of quality Liberian music videos to the world. He was an opening act for WIZKID in Washington, DC, USA (July 2017). The WIZKID event was a sold-out event with more than 5000 fans in attendance. MEZONIC released several hit records and set the bar high for uniformed dance groups in Liberian music videos. MEZONICalong with Jimmy Black & WF DOC formed the Liberian Music Video Awards foundation. The first annual Liberian Music Video Awards is scheduled to be held in Liberia in March of 2018. MEZONIC claims that one of his most important achievements in 2017 was the ability to sign, develop, and manage other Liberian acts. Tamba Hali who happens to be an NFL Linebacker for the Kansas City Chief’s, scored a major touch-down in the African music industry by releasing the video for his smash hit single, The One For Me. His performance for the WIZKID concert in July 2017 was one of the most memorable because he brought out about 20 plus female dancers on stage. Bucky Raw had a great year with his mix-tape Country Soda.He performed for sold-out crowds from Minneapolis, MN to Philadelphia, PA. He was on the verge of completing his follow-up mix-tape, Country Soda 2 but ended up in some legal issues. Flex also had a solid year, by first doing one of the biggest Liberian records of all-time, Holy Ghost Fire the Demons.His music video & song featured the World’s best selling African Artist, AKON. Flex also released Dancing Shoes among other hot Liberian music videos. Fast forward to later in 2017, Dance-hall/Afro-beat artist, Z.WE caught MEZONIC’s attention which flourished into a management deal. Z.WE is without a doubt one of the hardest working, young Liberian artist. Here is his BIO to learn more about him. Born in the middle of the Liberian Civil War in 1991, International Afro-pop/Dance-hall artist, Z.WE (pronounced ZEE WEE) was already destined for greatness. As many Liberians share a similar story, Z.WE and his family experienced extreme hardships because of the war. He and his family were fortunate to relocate to the U.S.A in 2006. Z.WE will be doing his first interview on November 20, 2017. He is excited to interview with DJ Blue who owns Hott FM 107.9 in Monrovia, Liberia. DJ Blue is without a doubt, the most respected Liberian DJ & Businessman. Z.WE also signed his management deal with MEZONIC Entertainment on October 23, 2017. His team consists of his road manager, Shirley Sherman and his personal DJ.Z.WE’s music is very uplifting and catchy. He loves all his fans, especially Liberians because his people & country mean the world to him. He hopes & prays that God will continue to shine a bright light on his music career with longevity and prosperity. He is grateful for all his fans and supporters around the world. Liberia is slowing becoming the music hub of West Africa! CHARLOTTE,NC - 03/16/2017 (PRESS RELEASE JET) — An old parable says, a giant never goes down without a fight. Liberians have always been supportive of other African countries, mainly the entertainment industries of Nigeria & Ghana as of late. Now is the time, for Liberians and other countries, especially African countries, to embrace Liberian entertainers who are showcasing world-class music and entertainment. The one advantage Liberia has over most African countries is the influence from American culture. Although the youth of most countries are influenced by the pop culture of America, Liberia was in fact a former colony of the American Colonization Society and it gained its independence in 1847. Liberia became the first independent democratic republic in Africa’s history. Fast forward to present day, most Liberians are starting to pay more attention to entertainment. If it’s not an entertainment center, it is probably a record label or a film company. Entertainment has helped Liberians to experience a different type of normalcy. After undergoing such a brutal and long civil war, music and entertainment has been one of the best coping mechanisms for Liberians all around the world. When it comes to Liberian entertainment, the name SCIENTIFIC rings a bell to most but is probably unfamiliar to some people. Sonny Jamaal Tayshaun Tubman (born March 3 in Bong County, Liberia) who is better known by his stage name Scientific (often stylized as Lib Scientific), is a Liberian recording artist and songwriter who currently resides in Ghana. He grew up in Ghana on a Refugee Camp due to the first and second Liberian civil wars which lasted from 1989 to 2003. As a foreigner, Scientific always believed that distance wasn’t a barrier and worked harder until a guy named Cheddar, got him to sign a deal with W.O.N.D.A WORLD ENTERTAINMENT (WWE) in Ghana. He has won multiple awards and the most notable was the recent WatsUp TV Africa Music Video Awards (2016 WAMVA) on December 28, 2016. 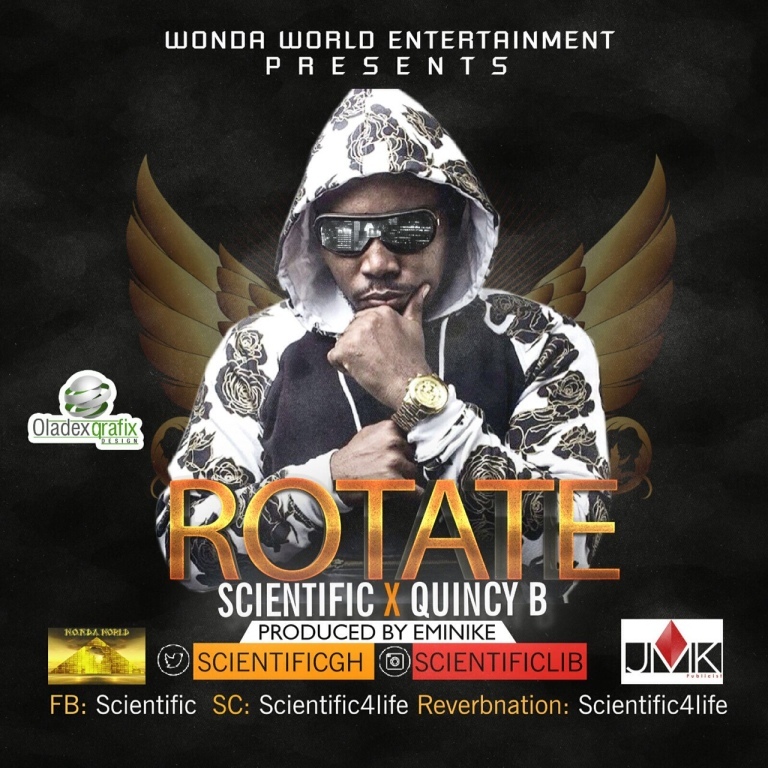 SCIENTIFIC won the BEST AFRO POP VIDEO for his video ROTATE ft. Quincy B who is a fellow Liberian artist. Unfortunately, Quincy B was killed in a fatal car crash on March 3, 2017, which happens to be the birthday of SCIENTIFIC. The entire nation of Liberia is still in shock about Quincy B’s death. Funeral arrangements are be made. In conclusion, SCIENTIFIC has been working extremely hard over the years. He has performed alongside big Ghanaian stars like Sarkodie, American rapper Fabolous, free-styled with Wyclef Jean among others. Liberia loves SCIENTIFIC and eventually, the world will appreciate his talent as well. We are soliciting Radio/TV, Licensing, and other opportunities to showcase some or all of these songs/videos. We are also opened for interviews. If you would like to book an artist on the play-list, please contact us directly and we will fulfill your booking needs. Young Liberian artists are striving for success worldwide! CHARLOTTE, NC – 6 Feb, 2017 – With more than 10 music videos under his belt, International Liberian Star, 2KEE is a musical force to be reckoned with. Over the years, 2KEE has been building his buzz with constant music and videos; showcasing quality work and versatility with genres like R&B, Soul, Pop, Reggae, and now Afro-beat. 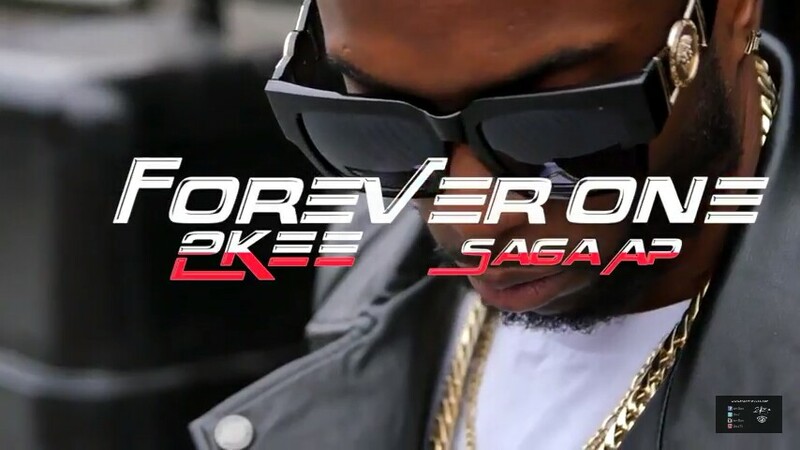 Saga AP to create an Afro-beat smash hit that will immediately hypnotize you to dance or shake your body where ever you are. 2KEE also has a new album called “INTERMISSION-2nd ROUND” available on iam2kee.com, TIDAL, iTunes, Amazon, iheart radio, Spotify, Wlojii, plus more. CHARLOTTE,NC – 11 Jan, 2017 – Brace yourself to experience Liberian/African Culture on so many levels! Whoever thought that a small country like Liberia could showcase beautiful, diverse, and rich music? Well, that is exactly what the young generation of Liberians are doing in order to make their country proud. All of these artists have been praying and waiting for the opportunity to be heard & seen by the world. This is why M.R.P.E, LLC. is showcasing Liberian Music Videos. The number 1 Artist on this on-going playlist is MEZONIC. He is a Hip-hop/Afro-Pop artist, originally from Liberia and currently resides in Charlotte, NC, U.S.A. The name of his song & video is called Kelewele Love. For those of you who don’t know, Kelewele is over-ripe, fried plantain with ginger and in some cases pepper. 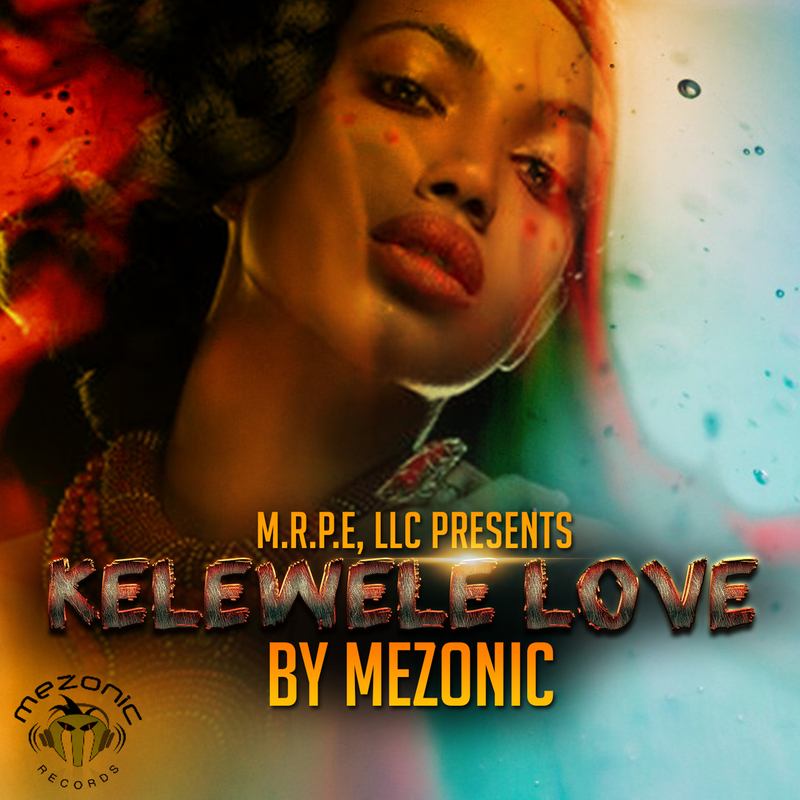 MEZONIC used Kelewele as a metaphor to describe a beautiful but strong-minded African girl. Most men around the world prefer to date beauty and brains (a beautiful lady who is also smart or educated). Although MEZONIC envisioned a time in his life when he was an early teenager to create this song, old and young people will relate to the message, melodies, and enjoy the overall song. The video was also a huge challenge because MEZONIC initially shot the entire video with a different model than the two models that were showcased. The videographer ended up with a damaged SD card causing all the files to be destroyed. As frustrating as it was, MEZONIC persevered and re-shot the video with the two ladies because the original model felt exhausted about the misfortune. That in itself is an encouraging message to all Liberian artists to NEVER GIVE UP! We are soliciting Radio/TV, Licensing, and other opportunities to showcase some or all of these songs/videos. We are also opened for interviews. If you would like to book an artist in the playlist, please contact us directly and we will make the process very smooth. Some of the artists are located in Liberia, UK, Australia, and most of them are here in the U.S.A.